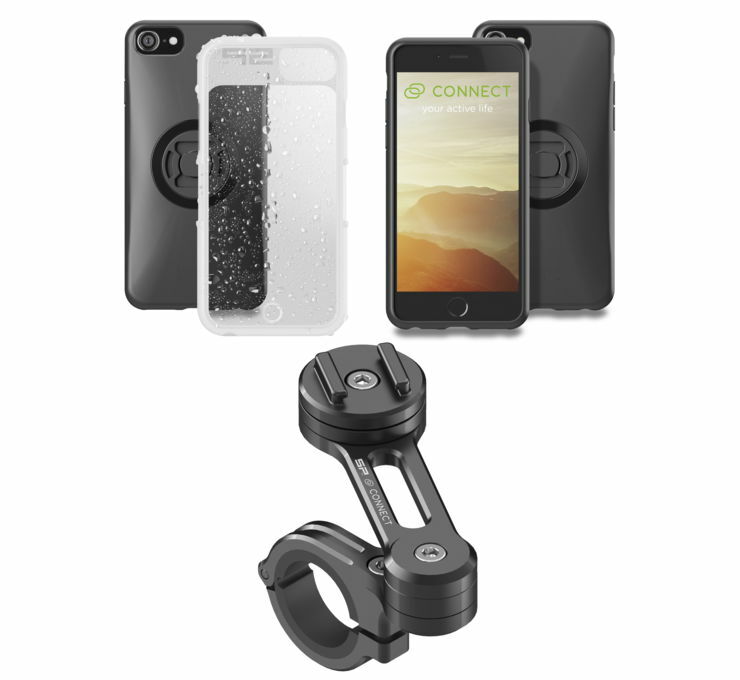 The SP Connect™ Moto Bundle lets you mount your smartphone to your motorbike in seconds. 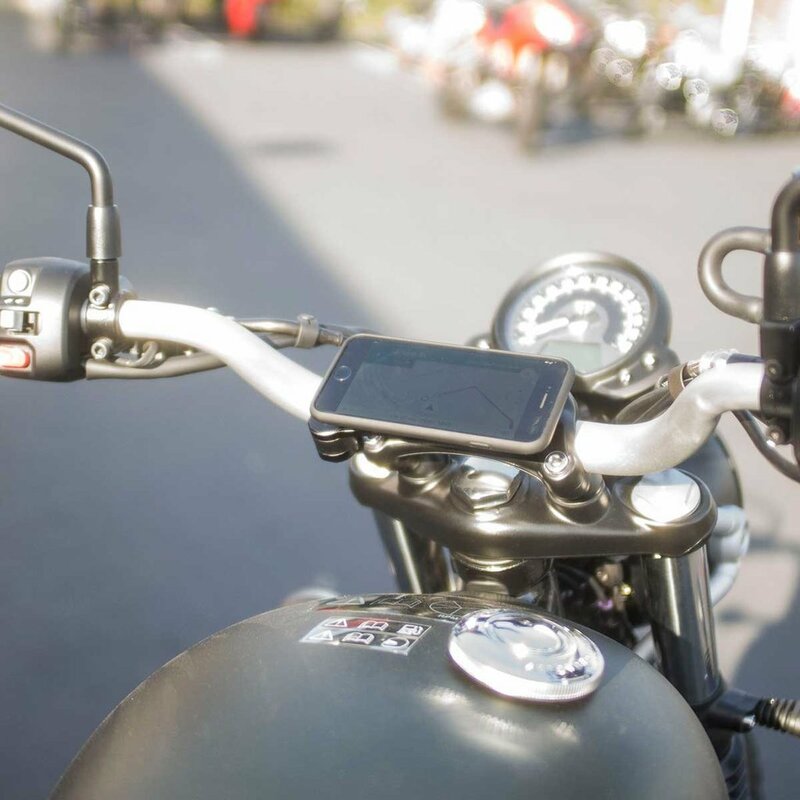 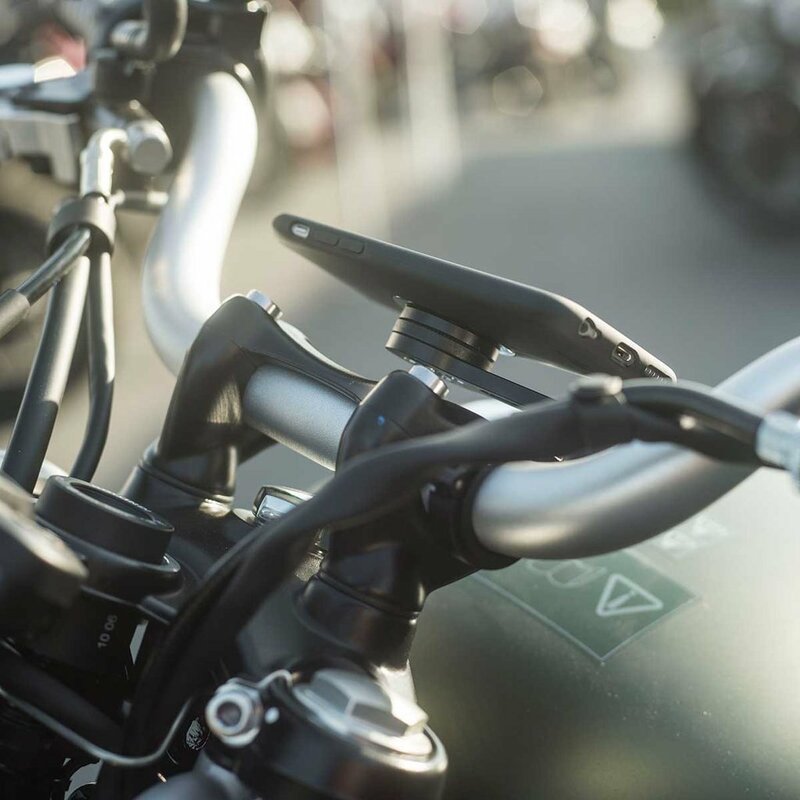 Simply fasten the moto mount pro to the handlebars and you are ready to mount the phone case or universal interface by placing it on the mount and turning it 90° clockwise. 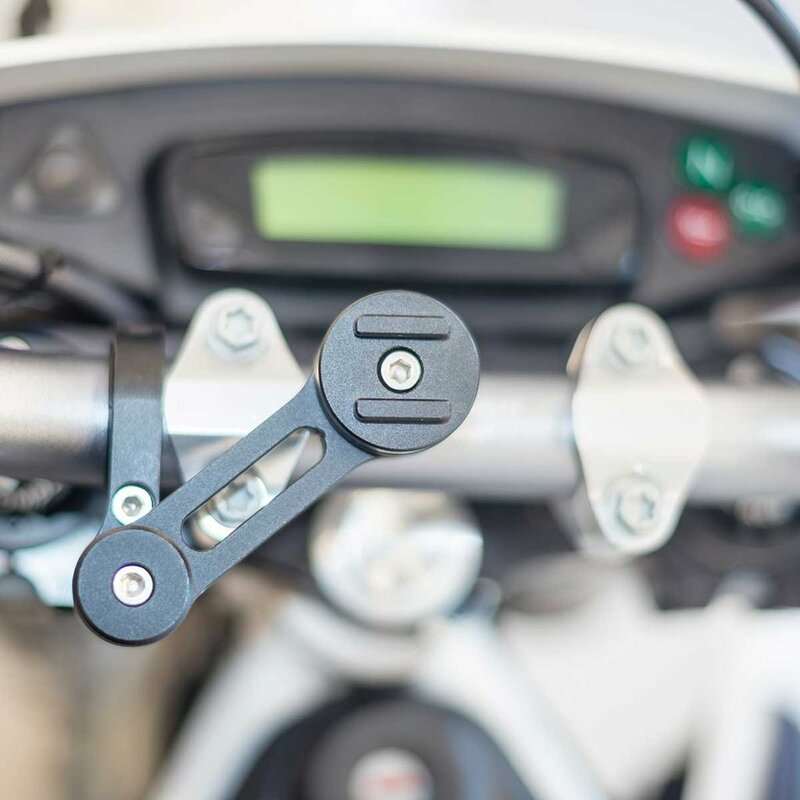 The mount also has a unique vibration dampening system that cuts G-forces by up to 40%, depending on bike and phone model. 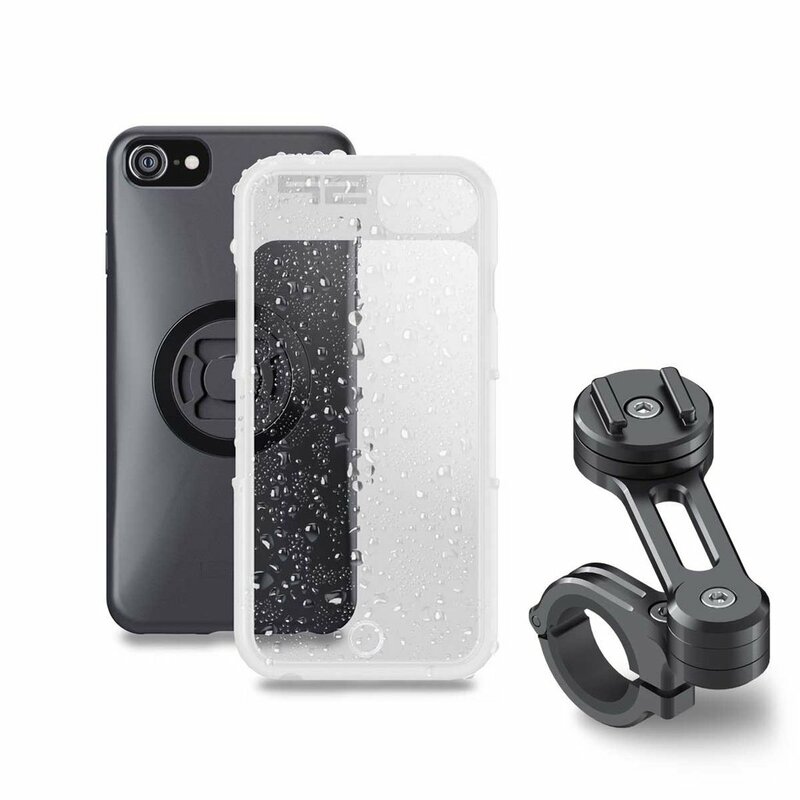 All versions, excluding the universal interface, include a weather cover to protect your phone from the elements.